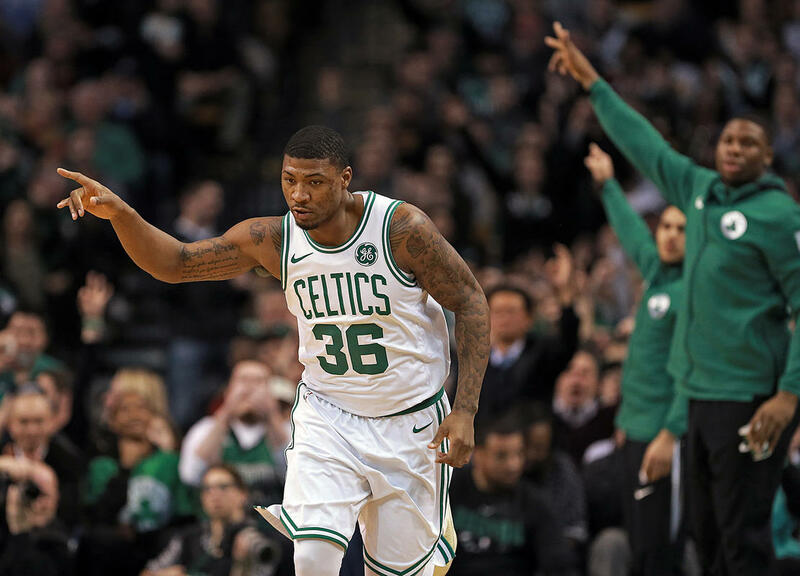 The Celtics have their first game of the pre-season tonight versus the Charlotte Hornets, and Marcus Smart is not with his team due to undisclosed personal reasons. Marcus has been on a bit of a roller coaster lately, none of his own doing. His mother passed away recently, and her Celebration of Life Ceremony was on Saturday, September 22, 2018 - followed two days later by Celtics Media Day and the beginning of Training Camp. He most likely has had little breathing room or the chance to perform the various duties as the survivor of a recently-deceased parent. This appears to be a brief absence and a necessary one for Marcus. He is extremely resilient, but this recent loss of someone so dear to him will stay with him forever - as it should. We hope to see him back with his team shortly.